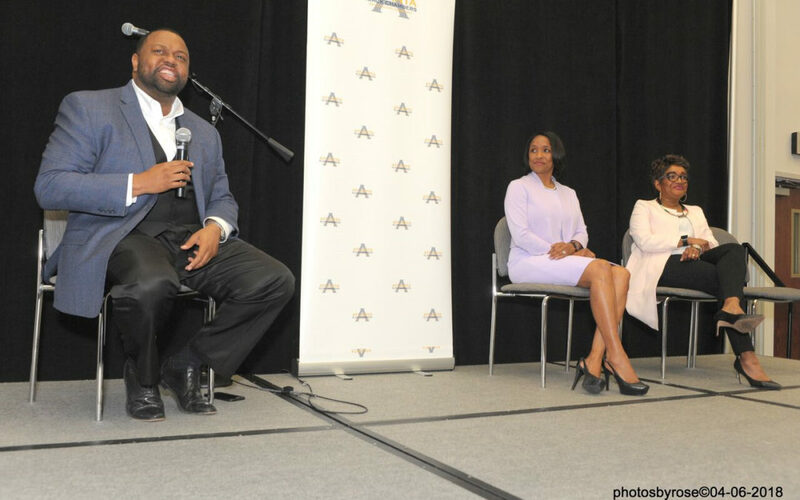 Our First Friday Forum for April 2018 focused on the Black financial institutions located in Atlanta. We were very happy to have Cynthia Day, President Citizens Trust Bank and Sharon Odom, President 1st Choice Credit Union as featured guest. 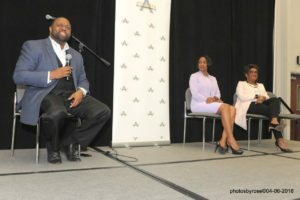 Jay Bailey, President of the Russell Center for Innovation and Entrepreneurship moderated the discussion. April is Financial Literacy month and this was an ideal time to have the presidents of two Black financial institutions at our meeting.